Token holders profit from the value increase in digital assets through a proof-of-membership in the fund. In addition, they participate in the distribution of fund net profits as quarterly dividend. Token holders receive their dividend through a smart contract as Ether payment. The first net profit will be distributed September 30th, 2017. 50% of net profit is distributed to investors. The remainder (50% minus the performance fee, so at least 35%) is reinvested). We evaluated raising capital between a Blockchain crowdfunding campaign and traditional fund raising and concluded that utilizing an Ethereum ERC20 token would be the optimal fundraising method to achieve our vision. Blockchain crowdfunding gives access to people who would maybe ordinarily not have access to investment funds. WHAT DOES THE DDF TOKEN REPRESENT? DDF tokens are “proof-of-membership” in the fund. Holders of DDF tokens will receive quarterly dividend distributions proportionate to their stake percentage. WHERE WILL DDF TOKENS BE LISTED? We have already signed a partnership with coss.io, a Singapore exchange, to list DDF tokens right after the ICO. We will ensure that DDF tokens are tradable on a minimum of 1 major exchange (although our goal is 3-5 leading cryptocurrency exchanges). WHERE WILL DIVIDENDS BE PAID TO? Quarterly dividends will be distributed to the token holder. They are sent to the Ethereum address that holds the tokens. If the token is held on an exchange, then the exchange will distribute the dividend to you. WHY ARE THERE NO DISCOUNTS FOR EARLY BIRDS? We have seen earlier ICOs being sold out quickly by large investors. By not rewarding early bird investment in the ICO, we are trying to ensure broader distribution and equal participation rights. ARE THERE ANY LIMITATIONS AS TO WHO CAN INVEST? You are not allowed to purchase DDF tokens if you are either a U.S. citizen or permanent resident of the United States, or have a primary residence or domicile in the United States, including Puerto Rico, the U.S. Virgin Islands, and any other territories of the United States. Please see our complete Prospectus for more details. WHERE CAN I BUY DDF TOKENS? 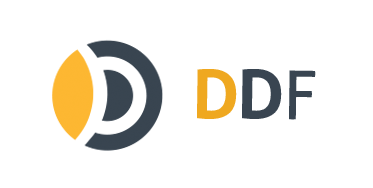 During the ICO, you can participate in buying DDF tokens by sending ETH to the address listed on this website shortly before commencement of the ICO. After the ICO, you will be able to buy DDF tokens on any participating exchange. WHAT FORM OF PAYMENT IS ACCEPTED IN THE ICO? You can participate in buying DDF tokens by sending ETH to the address listed on this website shortly before commencement of the ICO. The only accepted currency is ETH. We are selling DDF Tokens for up to 247,500 ETH. WHY IS THE FUND SO SMALL AT $.3.3M? The fund was originally established to allow friends and close supports to invest alongside the founders. Only to meet demand, it was opened later to a slightly large base of investors. IS DOMAIN INVESTING CYBER SQUATTING? No. Like most professional domain investors, we buy, sell, develop, and monetize generic domain names. We respect Intellectual Property laws and avoid names that may be related to trademarks. The business of investing in generic domain names is akin to buying real estate. Some people choose to buy land in an area they think will be developed in the future, rendering it much more valuable. They are content waiting for months or even years before selling. Others will buy property and build homes, and they will either sell or lease them, building a residual revenue stream. WHAT HAPPENS TO THE RAISED FUNDS AFTER THE ICO? Funds will be split into three hardware wallets for operations, reserve fund and portfolio; we have contracted Grant Thornton to perform confirmation of funds storage shortly after the ICO. WHAT IS THE FUND'S TRADING STRATEGY? The general trading strategy is value investing and buy and hold for mid term. This applies to crypto currency, domain names and other digital assets. In general we do no day trading for the most part of the fund, but smaller positions may be taken for specific algorithmic trading technologies that are being reviewed. Trading decisions are made between the funds director and asset manager, based on input from a research team. HOW CAN INVESTORS CHECK AND VERIFY TRADES? We have announced a partnership with TAAS to use their Crypto Audit tool that will give investors complete transparency over the funds’ investments in crypto currencies. We have also contracted Grant Thornton to provide an audit of funds after the ICO and are currently in talks with them to provide further ongoing auditing services. I SENT FUNDS, CAN I VERIFY I HAVE RECEIVED DDF TOKENS? If you have sent funds and the DDF tokens are not showing up yet, it may be due to synching issues or another delay. You can however verify on our Smart Contract page on Etherscan that you have DDF tokens on your wallet. On https://etherscan.io/address/0xcc4ef9eeaf656ac1a2ab886743e98e97e090ed38#readContract, enter your address in the balanceOf query box in the ReadContract function. This will display your DDF token balance. ARE DDF TOKENS TRANSFERRABLE AND HOW DO I TRANSFER THEM? DDF Tokens are immediately transferable. You can transfer them to any ERC20 supporting wallet (any wallet that would also be able to participate in the ICO; for example MyEtherWallet, Mist, or imToken. Please make sure to set the Gas Limiti to 200,000 when transfering tokens.